This is based on people and skills, financial environment, innovation and entrepreneurship, new technology development, and ICT infrastructure. 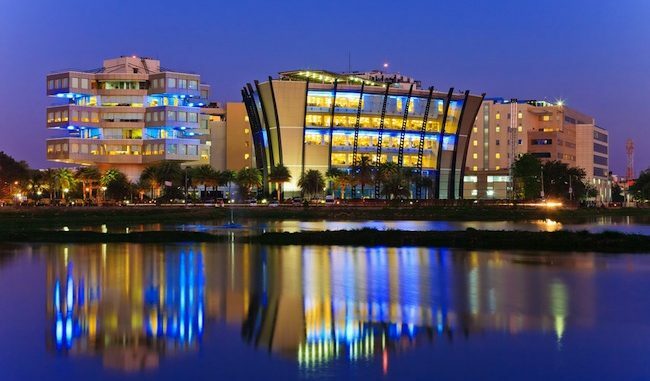 When it comes to a digital environment, business leaders have voted India’s Silicon Valley, Bengaluru as the best host among 45 cities worldwide beating San Francisco. A report by the Economist Intelligence Unit published on Bloomberg, on Tuesday, states that business leaders in Bengaluru have expressed the highest confidence in the digital environment in the city. This is based on people and skills, financial environment, innovation and entrepreneurship, new technology development, and ICT infrastructure. The Economic Intelligence Unit surveyed 2,620 executives from across 45 cities in June and July, in partnership with Australian telecommunications firm Telstra Corp.
Analysts led by Deni McCauley stated that while Indian cities may suffer more from infrastructure deficits, pollution, poverty and other ills when compared to most others, for digital transformation, the environment in Bengaluru is extremely optimistic. “By contrast, developed cities account for eight of the 10 lowest readings in the barometer,” analysts wrote in the report. Interestingly, while San Francisco came second, the next two cities in the list we Indian as well – Mumbai and New Delhi. These are followed by Tokyo, Yokohama and Berlin. In terms of people, the report states that people with digital security skills are the ones in most demand, followed by big data analytics. It’s only after these skills that there is demand for skills in cloud computing skills, social media, and artificial intelligence. Of all the companies surveyed, 40% said that they are willing to relocate to take advantage of a more favorable environment. This 40% respondents comprised 53% Asian firms, compared to 48% companies in the US, 46% in Australia and 45% companies in Europe. Often called India’s Silicon Valley, Bangalore has been touted as India’s startup hub with most major startups being based out of the city. However, a study by Startup Genome in March stated that Bengaluru’s position in the Global Startup Ecosystem Ranking 2017 slipped five places down to the 20th position with cities like Beijing, Shanghai and Stockholm racing ahead. Despite that, when it comes to technical know-how, Bengaluru stands at the top with 94% of Bengaluru founders having a technical background.